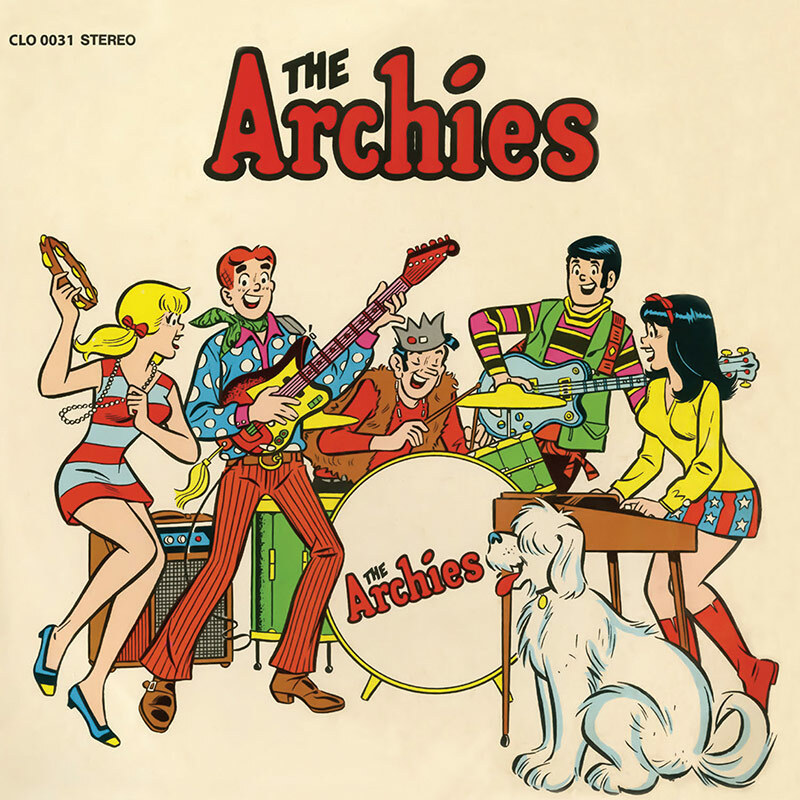 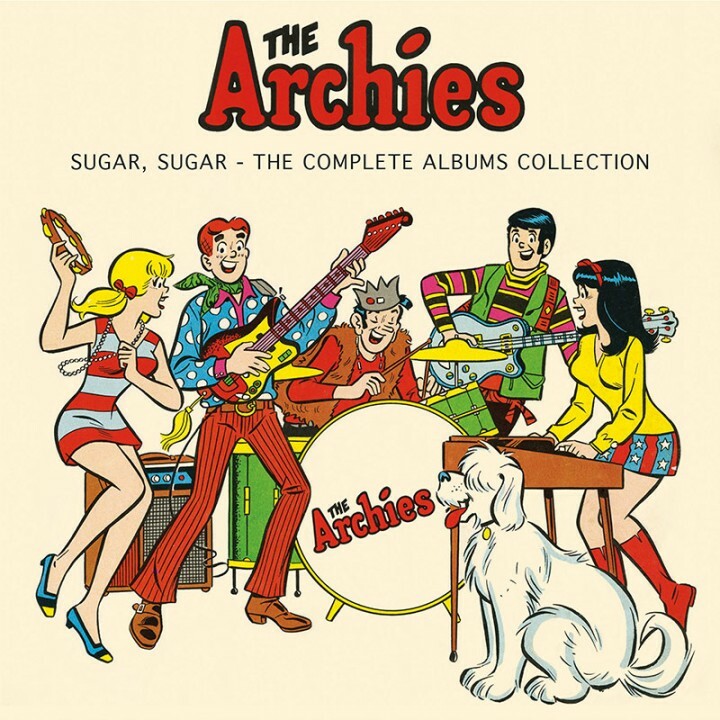 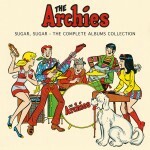 At long last, all 5 of the sticky sweet studio albums by bubblegum pop icons The Archies gathered together in one sugar high inducing box set! 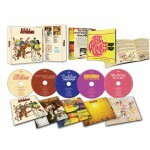 SKU: CLO0379CD. 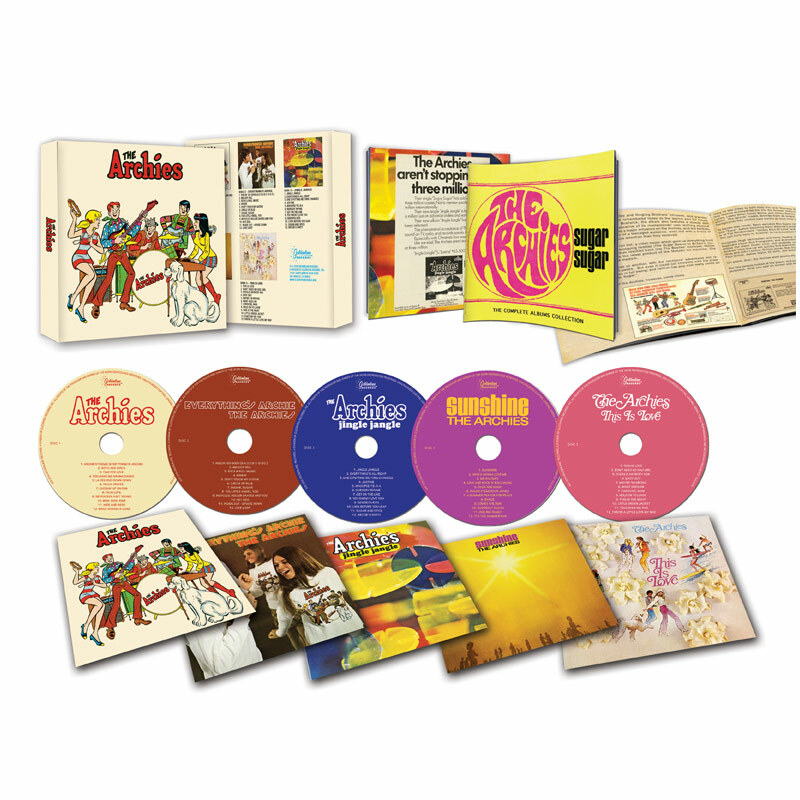 Categories: Audio CD, Box Set, Goldenlane, Rock. Features the groovy classics “Sugar, Sugar,” “Bang-Shang-A-Lang,” “Jingle Jangle” and more! Each album comes in its own individual sleeve replicating the original LP artwork, and includes a full-color booklet with extensive liner notes!